The MG Tactical Pressure Point Control certification course is based on the PPCT system and aims to provide maximum control with minimal effort. The PPCT Defense Tactics System is recognized as the nation’s leading non-lethal subject control system. It is the only system that was developed from sound tactical techniques, legal scrutiny, and medical research. 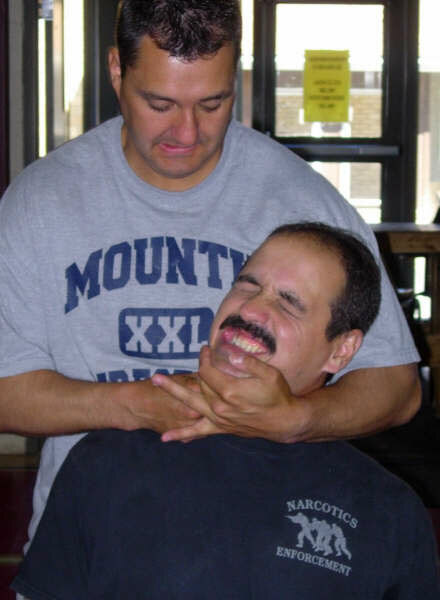 This 4 hour course teaches officers how to control a subject by applying as little as 2 pounds of finger touch pressure to specific pressure points on the head and neck. All of the techniques within the PPCT system have been tactically, legally, and medically researched. They are easily put into practice and easily defendable in court. This course pairs nicely with either our Impact weapon (baton) or OC certificate training.